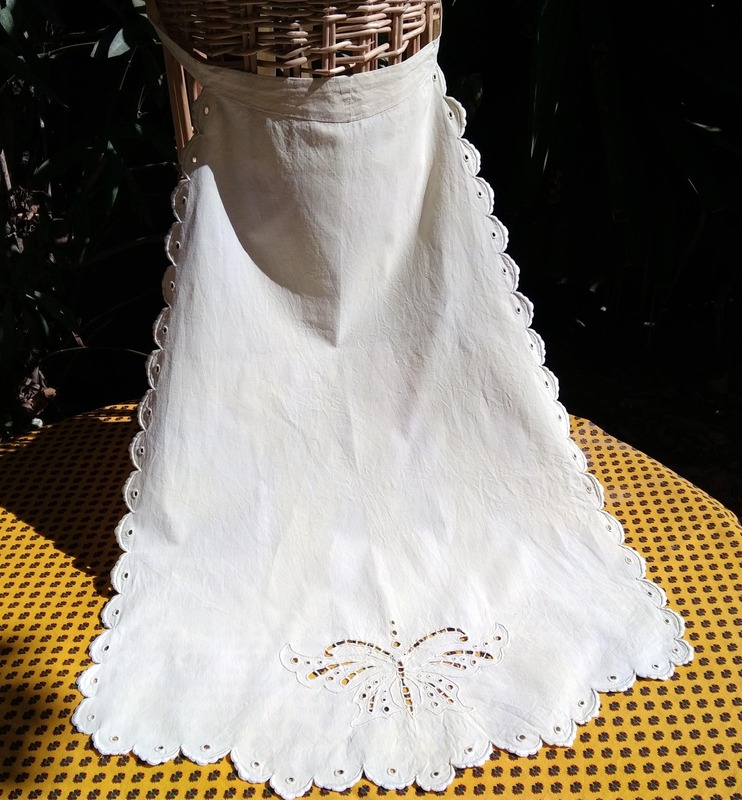 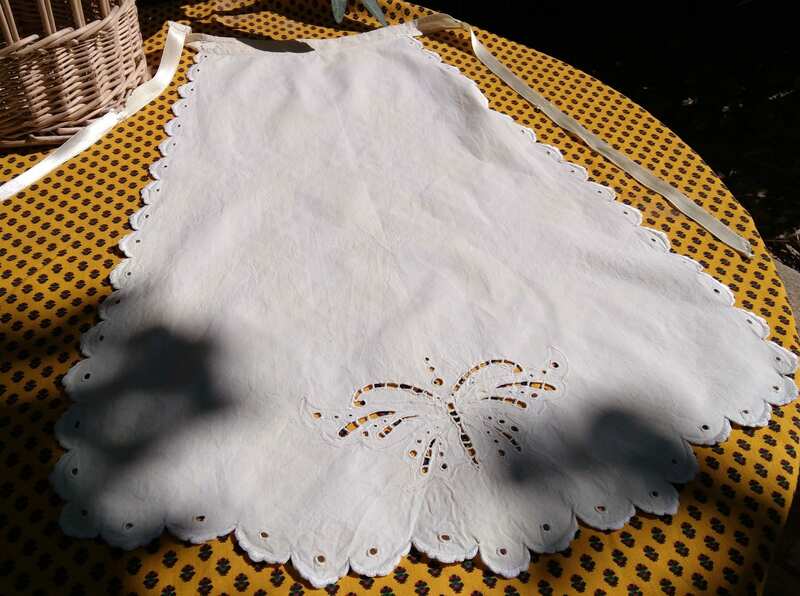 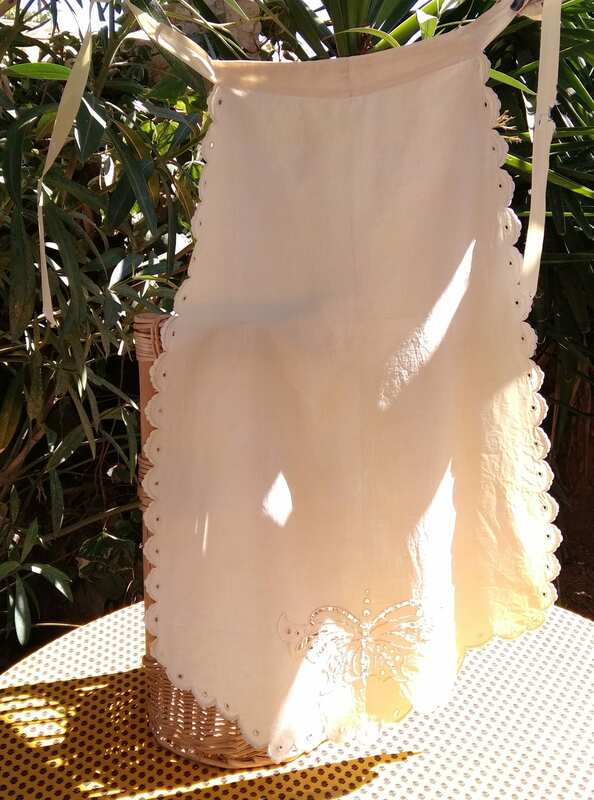 Antique French Folk cotton apron. 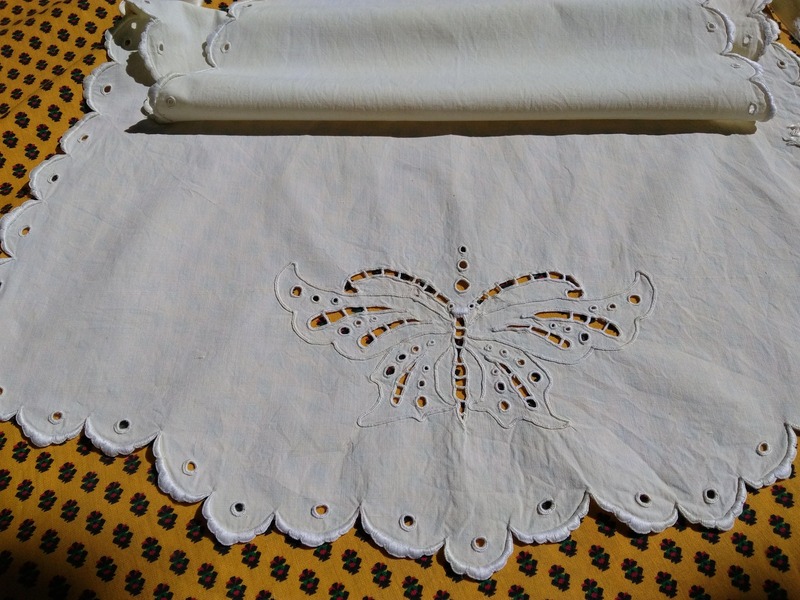 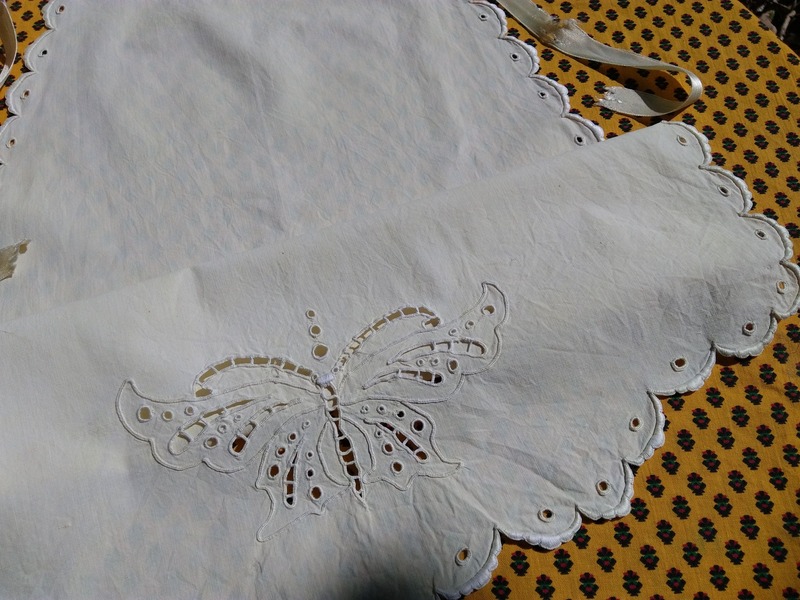 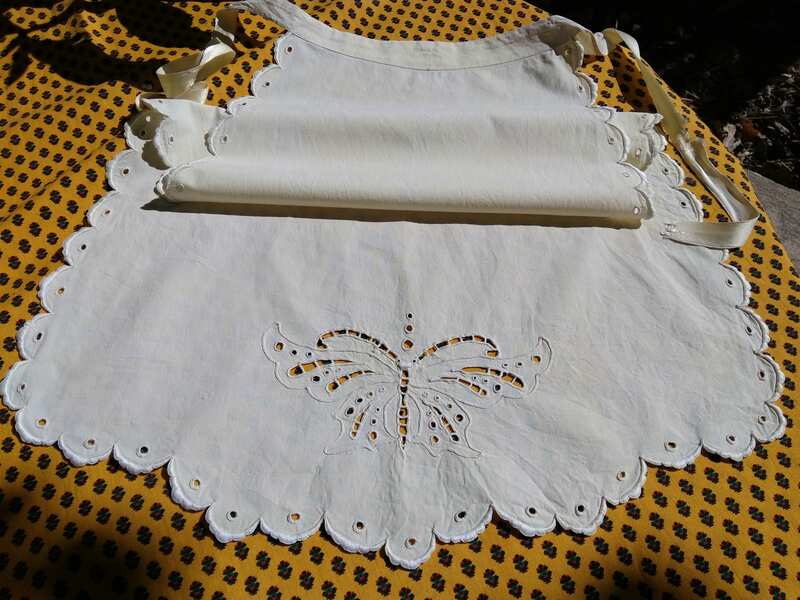 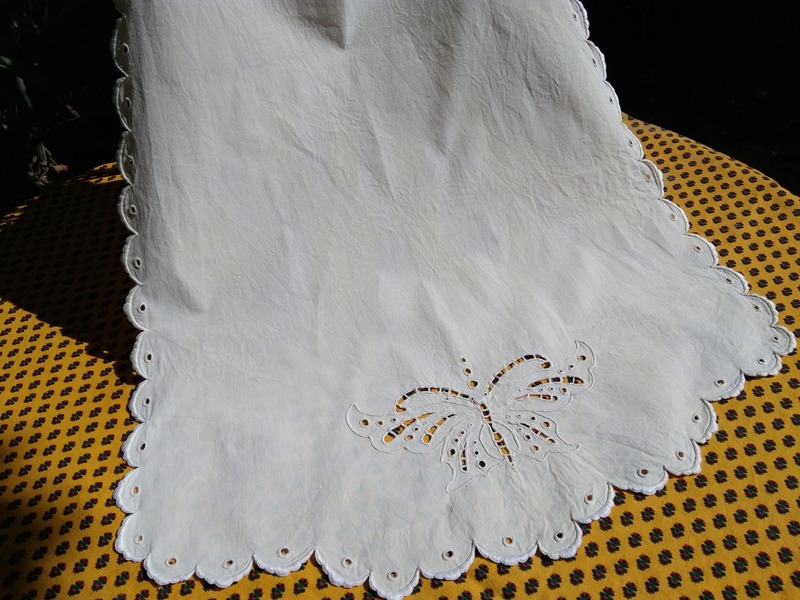 Pastel yellow cotton with butterfly cut worked and hand embroidered . 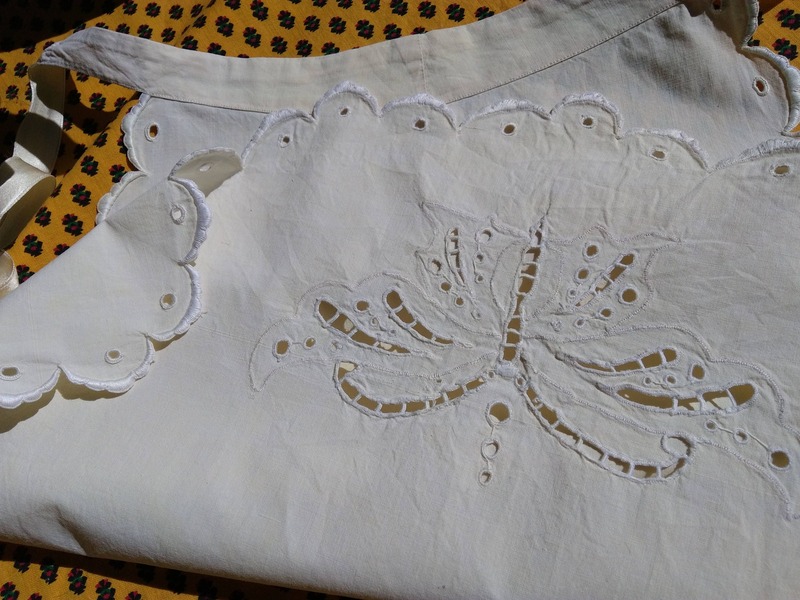 Bottom is scalloped and embroidered. 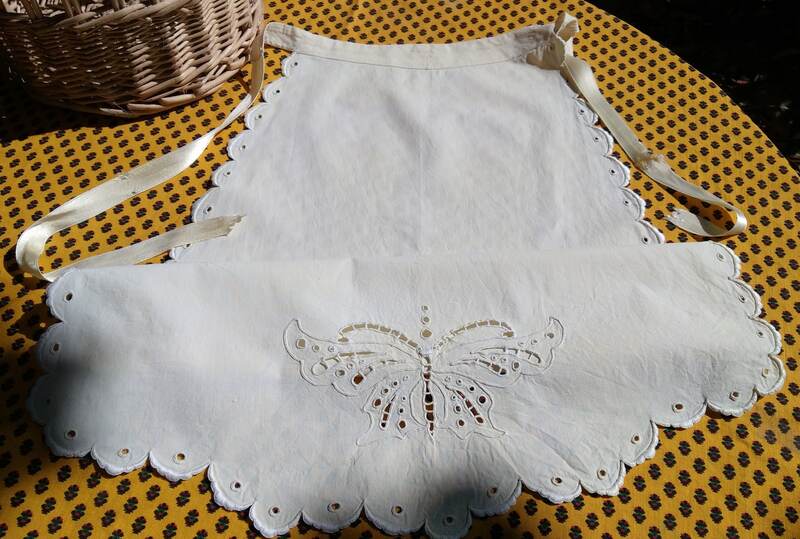 Apron is in good vintage condition, color is passed.